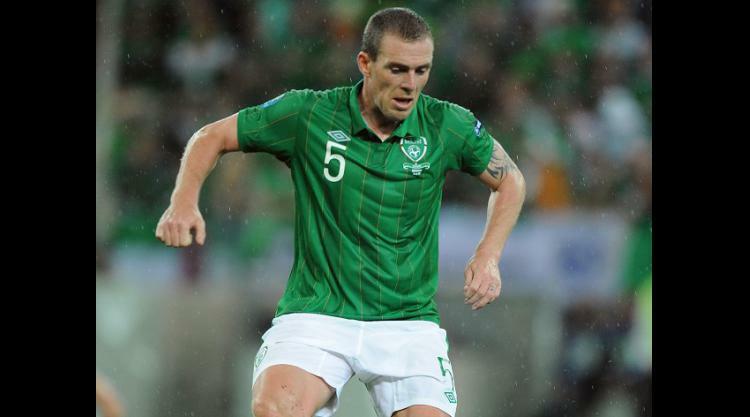 Richard Dunne's nightmare time with injuries continued after the Aston Villa defender suffered another setback to his groin problem. Dunne has had three operations this season to try and cure the complaint and had finally returned to training, but Villa boss Paul Lambert confirmed the 33-year-old, who is out of contract in the summer, has sustained another blow to his hopes of a first-team comeback. Lambert said: "It looks like Richard has got a setback. We will have to wait and see if that settles down again in the next few days. He has been training but came in one morning this week and felt something." Lambert had been hoping the experienced Dunne could play some part in Villa's relegation scrap despite having made only a handful of appearances in the last 12 months. He suffered a shoulder injury which forced him to miss the final third of last season - except the final two games - and then sustained the groin injury when on Euro 2012 duty for the Republic of Ireland. Lambert also revealed midfielder Fabian Delph is sidelined with an ankle injury. He said: "It's the same ankle he hurt against West Brom and Millwall but hopefully he might train at the end of the week."